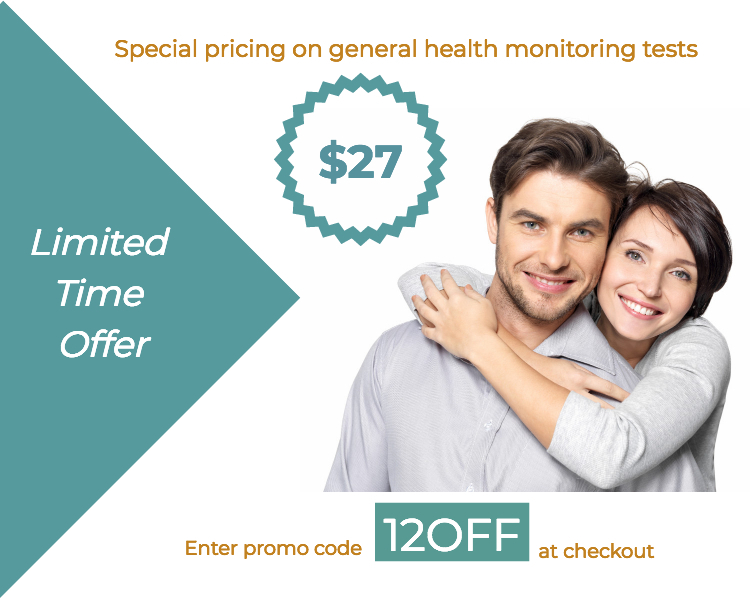 For a limited time - get any general health monitoring blood test listed below for just $27. That’s a $12 savings off our regular price of $39 per test. Simply enter code 12OFF at checkout to claim your $12.00 discount on each blood test.